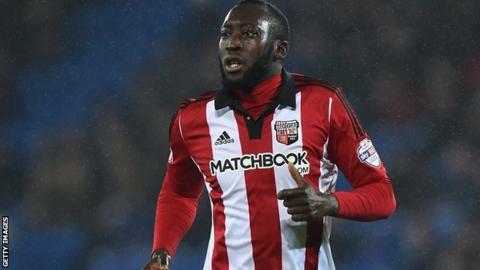 Leeds United have agreed a fee with Brentford for midfielder Toumani Diagouraga, BBC Radio Leeds reports. The 28-year-old joined the Bees from Peterborough in July 2010 and has made 190 league appearances for the Championship club. Scottish Championship leaders Rangers, who are managed by former Brentford boss Mark Warburton, had also lodged a bid for the player. But terms could not be agreed between the Ibrox outfit and Brentford. The Frenchman would be the second player to join the Whites this month after Middlesbrough winger Mustapha Carayol joined on loan. The Elland Road side are currently 17th in the second tier.